Confession: I don’t like beets. I keep trying them, and I keep shying away. Their earthy flavor is too strong. But they are so beautiful! That’s what leads me back every time. Beautiful to behold, hard to swallow. 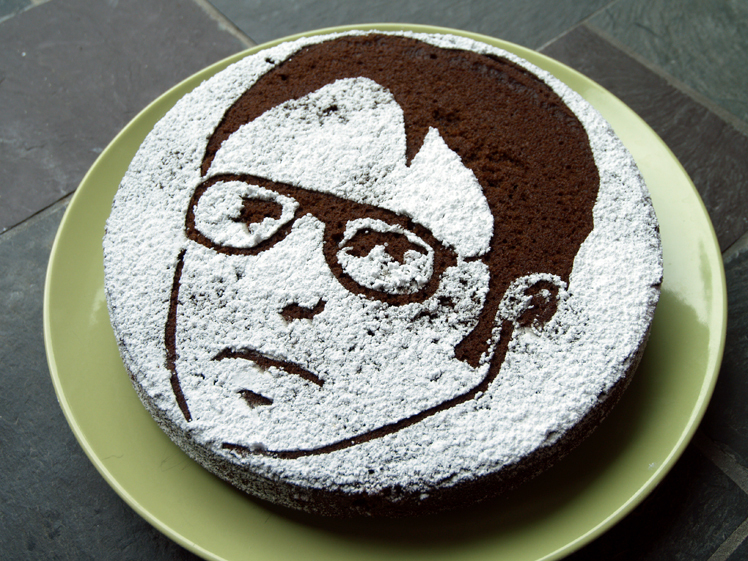 I came across this gorgeous video recipe for beet cake, and I couldn’t resist. Using the beets rolling around in the refrigerator from a CSA haul. 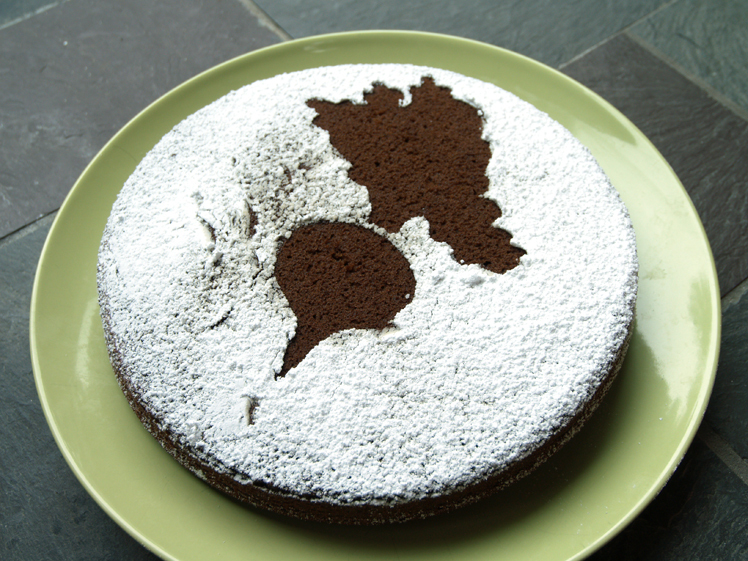 It’s an easy recipe, nothing more than your basic chocolate cake. It took extra time to cook and puree the beets. And you know what? It didn’t come out that bad. The beet flavor is there, but it’s wrapped in a chocolate cake. I had enough batter for two nine-inch cakes. What do you think of beets? 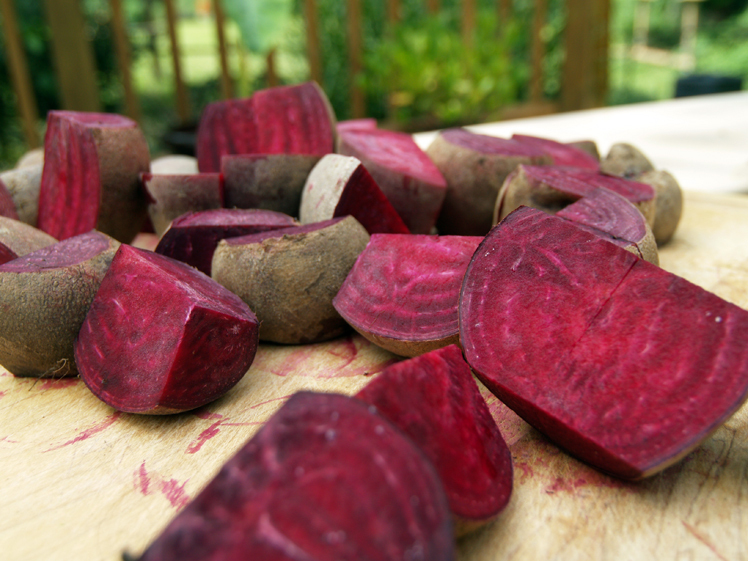 Beet a Path to the Grocery Store for This Superfood! « You Are What You Eat!